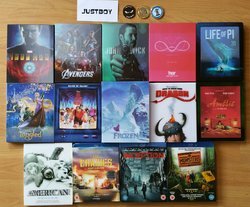 Here's my collection of mainly steelbook Lenticulars. My favourites are Tangled, John Wick & Frozen. It's a pity the full effect doesn't show up in a photo.